Tattooing has a long history in the Oceania region, with some of the earliest examples of Polynesian tattoo art showing up more than 2,000 years ago. Each Polynesian culture has its own take on tattoos, from the varied motifs to the tools and techniques. The work is often intricate and deeply meaningful, and it has successfully made the leap into the modern era, where you can see this artwork today across The Islands of Tahiti. Discovering how these tattoos evolved from ancient history to today’s world is a fascinating journey through cultural traditions and spiritual beliefs. A few centuries ago, one of the easiest ways to figure out where a Polynesian person came from was to look at their tattoos. 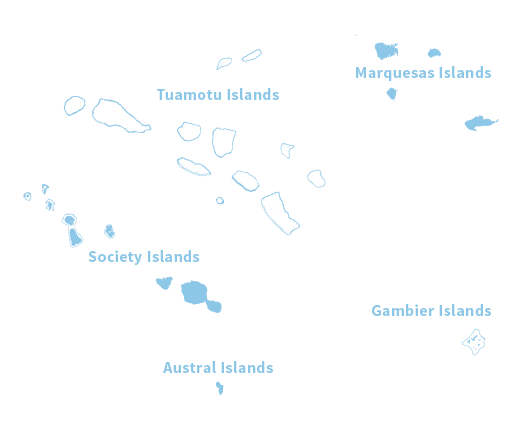 Each of the islands of The Islands of Tahiti had designs that were unique to that area, so you have an easy visual cue to figure out someone’s origins. While better travel options have made this a less tell-tale sign these days as natives move about from island to island, you can still see these touches from the tattoo artists themselves. Since Polynesia did not have written communication for a significant part of their early Polynesian history, the tattoo also acted as its own type of communication medium. They not only talked about the person’s rank in their culture but also their personality, work and many other personal details such as family ties and unique passions. 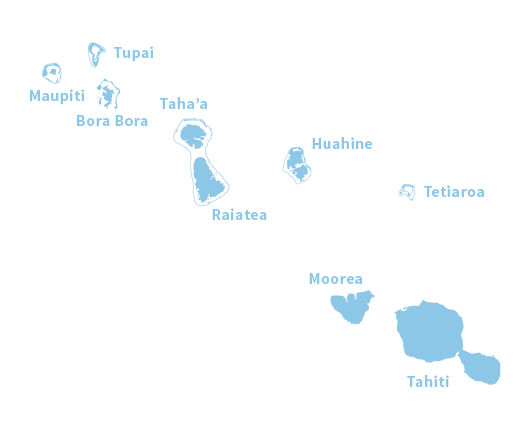 The origins of tattooing likely extend back to the Māori civilization, and it seems to have flourished in the “Polynesian Triangle,” which includes the regions of New Zealand, Hawaii, Samoa, Easter Island, and the Cook Islands. 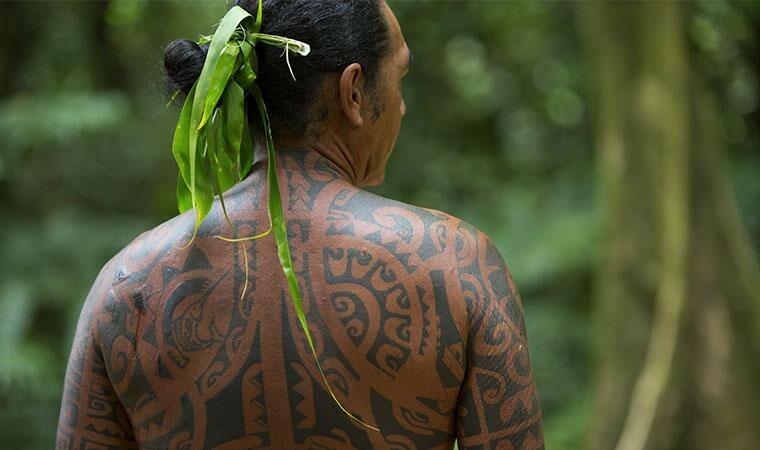 It was widely practiced in French Polynesia and reached its developmental peak in the Marquesas Islands, where tattoos are known for vibrant, intricate designs and themes. The tattoo master was a highly-regarded position within the ancient Polynesian culture. Regarded as spiritual leaders, these individuals had many responsibilities, from mastering the art of Polynesian tattooing to extensive travel within islands to perform their rites. The position was so demanding that they rarely had families. Tattoo masters traveled to different islands and were provided with housing by the local people. As the art of tattooing is a very spiritual process for everyone involved, the tattoo master had the right to restrict the person receiving the tattoo. For example, they might need to avoid certain types of food or follow specific directions on their activities for the days preceding the grand event. Even today, Polynesian tattoos are deeply symbolic and play a profound role in how an individual presents themselves to the world. There are a few artistic elements that are frequently found in Polynesian tattoos. 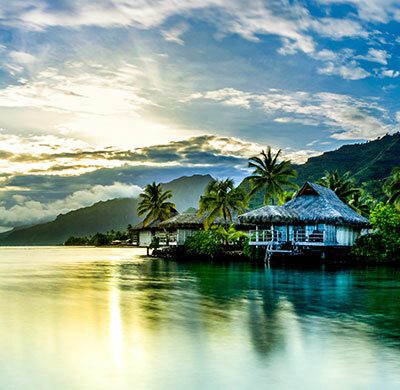 While these are shared throughout many of the Polynesian cultures, each island had its own twist on it. Geometric patterns are the most common element you’ll see. The shapes, placement and other details change dramatically depending on the tattoo master, the location and other factors. For example, Tongan warriors had triangles and solid black parts that were placed down to their knees from their waists. Pictographic art is another design element that you’ll find in these tattoos. Because the traditional art represented a wide range of information about a person, the pictographs were one of the best ways of conveying this in a small space. Think of it as their social media profiles put right on their body. A tattoo placement above the waist indicates that the design is related to someone’s spiritual nature or the heavens. If the tattoo is below the waist, then it goes down into the earth. In ancient times, you could distinguish the social class of the tattooed subject, as some were intended for gods, others for priests and still more for ari’i. 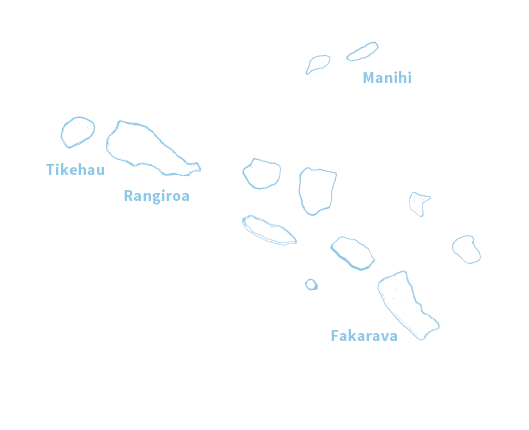 The hui ari’i type is reserved for chiefs, whereas those of the hui to’a, hui ra’atira and ‘īato’ai, and manahune types are seen on war leaders, warriors, dancers, rowers and people of similar classes. The first step in a traditional Polynesian tattoo is mapping out the design. Typically, charcoal or another readily available drawing material was used to guide the tattoo master throughout this process. 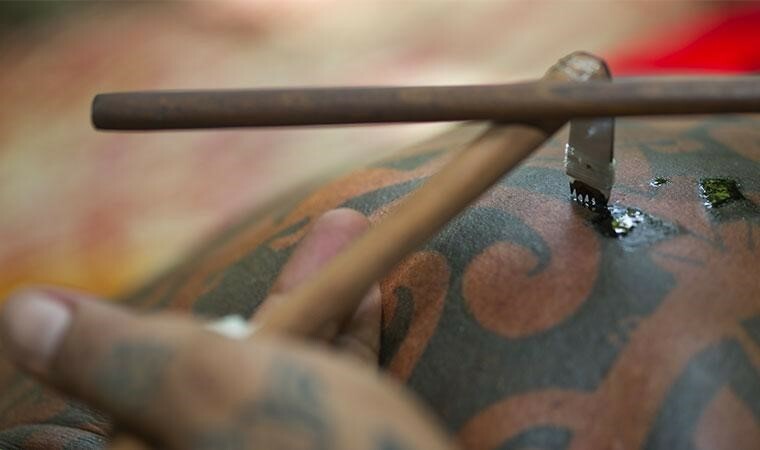 Polynesian tattoo artists use a manual technique with a tattooing comb or handmade needle. The comb or needle (often made with shark teeth), is then tapped into the skin to deposit the ink. Many Polynesian tattoo artists still prefer manually tattooing people rather than using a tattoo gun or another tool. This method lends itself to the distinctive style and meaningful process of Polynesian tattoos. One reason for sticking with the classic technique comes from the way tattoo artists learn. Everything works on an apprenticeship system. People interested in pursuing this art form find accomplished masters to work with. For some cultures, this technique is passed down over the course of centuries. A century ago, infection was a major concern due to the methods used, but these risks are mitigated today due to medical advances and sterile conditions. The rare infections that do occur are quickly treated with antibiotics. Depending on how extensive the tattoo design is, it can take months to complete a piece. Many people consider the pain levels on the higher end of the scale for tattoos, so the sessions go for as long as the person can hold on. 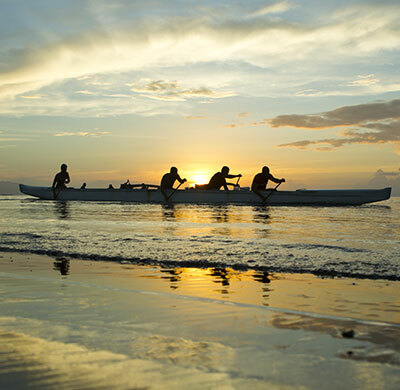 Reaching the end of this process is a cause of celebration in many Polynesian cultures. While the pain is well-known, some cultures historically thought less of people who were unwilling to undertake this ordeal. Though not generally recommended today, salt water soaks are the traditional aftercare method and a way of lessening the chance of infection during the healing process. It could take up to a year before the tattoo is considered fully healed. Because many Polynesian tattoo designs cover large portions of the body, the person getting tattooed may need help from family, friends and their community during this process. The tradition of the Polynesian tattoo goes back centuries and shows you a lot about who that person is and what they can endure. Whether you are interested in getting a traditional Polynesian tattoo yourself or you just want to admire the artistry on others, Polynesian tattoos are an important part of the Tahitian experience. As beautiful of a practice as it is, Polynesian tattooing almost suffered the fate of extinction. When Catholic and Protestant missionaries came to the islands in the 1800s, they forced islanders to dress in traditional English styles, therefore covering tattoos. Eventually, tattoos were banned, but as the 1980s came about, Polynesians started reclaiming their cultural identity. 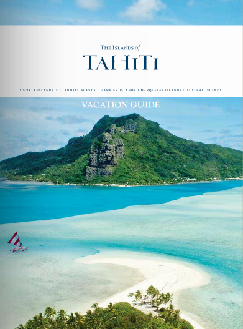 Since then, the practice has been revived and now flourishes throughout The Islands of Tahiti.